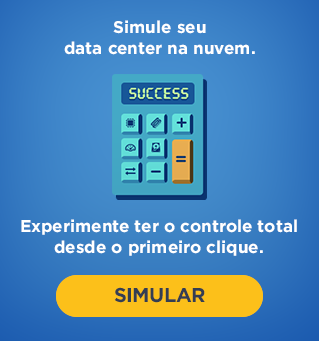 Oct 17, 2013 (DW) – Explosive Brazilian demand for website hosting and cloud computing is driving local service provider CentralServer to grow as fast as possible with the help of private investors, with a minority stake of up to 40% on offer, the company’s commercial director told DealWatch. 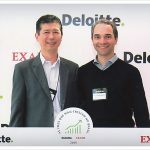 Founded in 2000 and based in the southern city of Curitiba, CentralServer was highlighted in August as one of the 250 fastest growing small- and mid-sized companies in Brazil by accountancy firm Deloitte and Brazilian magazine Exame PME. The company was ranked third among information technology companies for southern Brazil by the magazine, and currently counts 9,000 businesses, 20,000 domain names and more than 100,000 e-mail accounts among its client base. Specializing in cloud computing and site hosting, CentralServer generated gross revenue of BRL 5.49 million in 2012, with earnings before interest, taxes, depreciation and amortization (EBITDA) of BRL 842,251, and free cash flow of BRL 696,391. For January through June of this year, gross revenue topped BRL 2.89 million, with EBITDA of BRL 368,706 and free cash flow of BRL 354,128. 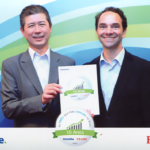 EBITDA and free cash flow are down slightly through the first semester on account of CentralServer initiating investments earlier this year in a second data center, new tools to offer clients a Software-Defined Data Center (SDDC), and expanded staff, Rui Suzuki, the company’s commercial director, said in a recent interview. “Our objective now is to grow at a rate that will let us capture 10 times the revenue of today, five years from now,” Suzuki said. “And that’s domestic growth only. The company is seeking as much as BRL 5 million from a private investment partner within the next six months, and is willing to offer up to a 40% minority stake, Suzuki said. The global market for cloud computing is projected to reach USD 2.41 billion by 2020, according to Forrester Research. Forty-four percent of companies in Latin America have installed or are expanding cloud computing solutions this year, said Forrester, which predicts some USD 1.4 billion will be invested by the region in cloud technology by 2016.